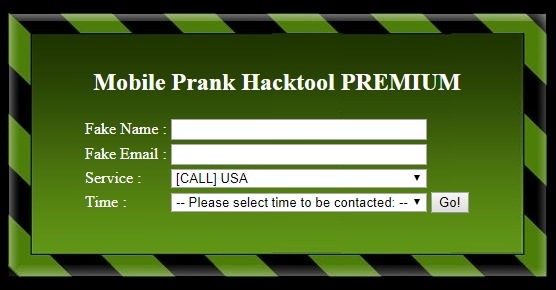 Mobile Prank Hacktool PREMIUM 2 is a tool to make prank calls from a browser to a phone. The PREMIUM edition is the paid version of Mobile Prank Hacktool made available for free on this board. Belgium, France, Switzerland, Germany, Portugal, Luxembourg, USA, Greece, Netherlands, Spain, Italy, Romania, United Kingdom, Sweden, Poland, Mexico, Brazil, New Zealand, Turkey, Angola, Mozambique, Ireland, Czech Republic & Slovak Republic.